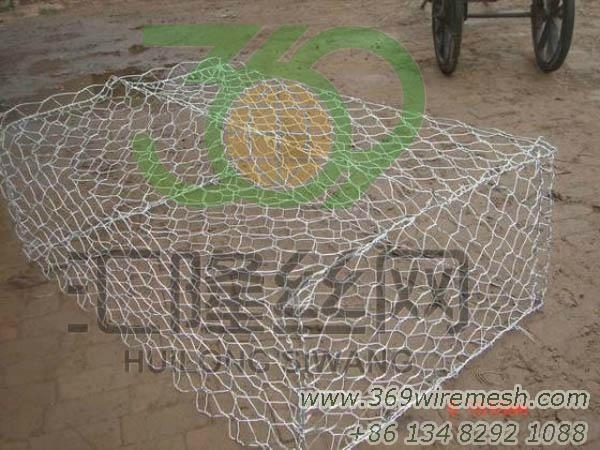 Gabion box is produced from double-twisted metallic-coated wire mesh, filled with rocks to prevent soil erosion and retain or contain soil particles. They reduce water velocities and re-capture river bed sediment in streams. The types of gabion box we produced include hot-dipped galvanized, Galfan and PVC coated. Characteristics:Gabion box enjoys many perfect characteristics. Therefore this kind of product is one of the most popular products that we produced. Gabion box has the characteristics of corrosion resistance, acid resistance, alkali resistance and weather proof under natural destroy. Gabion box has strong anti-pressure and strength ability. It will not collapse even under big scope of deforming. Gabion boxis more economic than other similar products. All you should do is to fill the stone into the gabions and seal them. The installation method of gabion boxis very easy. Even an unskilled man can fix it. Gabion boxenjoys the advantage of good permeation. Then it can prevent the damage of hydrostatic. The transport freight of gabion is very low. It can be folded together for transport and further installation. Applications:Gabion box is widely used in many fields, including agriculture, industry and construction fields. Gabion boxcan control and guide water and flood and protect bridge, bank, seaside area, coastal embankment works, roadway and soil. Besides, this kind of product can prevent bank breaking, strengthen the structure of soil and retaining wall structure.